World Cancer day takes place every 4 February and 2019 marks the date's 'I Am and I Will' campaign, which challenges others to help improve the lives of those battling cancer. "Whoever you are, you have the power to reduce the impact of cancer for yourself, the people you love and for the world", a blog post from UK charity Macmillan said. This #WorldCancerDay we’d like to thank the supporters who fund our vital services; from nurses and welfare advisers to support line staff. From everyone at Macmillan, thank you! Cancer is the second-leading cause of death worldwide, with one in six deaths due to cancer or roughly 9.6m victims in 2018, according to the UN World Health Organisation (WHO). The five leading causes of cancer include low fruit and vegetable intake, high body mass index (BMI), lack of exercise, as well as tobacco and alcohol use, with tobacco responsible for 22 percent of cancer deaths. The total economic costs for cancer treatment in 2010 were roughly $1.16tn (£888.39bn), the UN revealed. The disease hits low and middle-income (LMI) countries the hardest, where 70 percent of cancer patients die from a lack of access to proper medical facilities. Hepatitis and human papilloma virus (HPV) accounting for around 25 percent of cancer cases. Late-stage diagnoses also limit preventative screenings in the public sector, with only 30 percent of services available in LMI countries compared to high-income countries, the WHO states, adding that only one in five LMI countries record sufficient data to monitor cancer cases. Despite this, cancer does not discriminate based on class, wealth, or success. People across the world have mourned celebrities such as rock icon David Bowie, Apple founder and CEO Steve Jobs, US diva Aretha Franklin, Belgian chanson master Jacques Brel, Actress Audrey Hepburn, Beatles bassist George Harrison, ABC news anchor Peter Jennings, Reggae legend Bob Marley, UK comedian Jeremy Hardy, UK Michelin chef Andrew Farlie, UK actor Alan Rickman and countless others due to the disease. 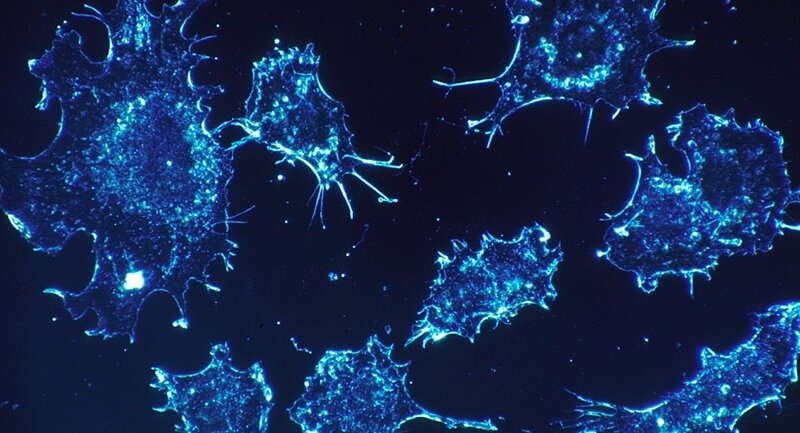 Advancements in cancer treatments yield promising results for oncologists, with Cancer Research UK stating that since 1979, 500,000 fewer deaths from lung cancer year-on-year have been reported. "This World Cancer Day it's important to celebrate how much things have improved, but also to renew our commitment to saving the lives of more people with cancer," Michelle Mitchell, Cancer Research UK's chief executive, said. "More still needs to be done to bring down the number of people affected by lung cancer and develop better and kinder treatments."